Gelatin is used in many cosmetic and health care products. It is an ingredient in face creams, body lotions, shampoos, hair sprays, sun screens and bath salts and bubbles. Personal cleanliness and skin care are among the most basic human needs. The choice of high-quality active ingredients is becoming increasingly important for modern cosmetic products so as to ensure both maximum cleansing effectiveness and gentleness. In addition to natural oils and fats, hydrolysed collagen is an important ingredient in skin and hair care products. It is dermatologically well-tolerated, free of harmful substances and acts as an effective moisturiser in creams and lotions. Thanks to its film-forming properties, it has a positive effect on skin smoothness and the gloss and combability of hair. It also ensures a more even uptake of pigments in hair dyes and tints. Hydrolysed collagen is extremely similar to the body’s own collagen; this, and its broad range of active agents and its positive effect on collagen production, make it an important component in anti-aging products in particular. It is a proven promoter of endogenous collagen formation, so that the network of collagen fibres can once again fulfil its task. The texture of the skin is improved and the depth of wrinkles can be reduced. 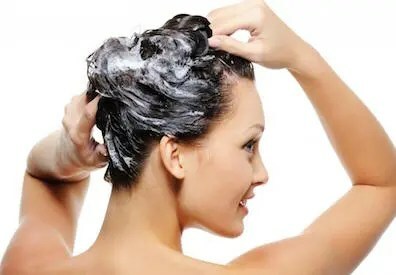 One important application of hydrolysed collagen in the personal care sector is in combination with surfactants, or active washing agents, in shampoos and washing and shower gels. As the hair is also made of protein, collagen is equally effective here, penetrating cracks and thus strengthening each individual hair shaft from within. Hydrolysed collagen also has a protective effect, minimising the detrimental influence of harmful substances on the skin and hair. Its film-forming capability acts in two ways at once during washing: the hair is sheathed like a film, which simultaneously thickens it. This results in additional volume and suppleness.